Newbies is an audio podcast guiding new mothers through their baby’s first year of life. Episodes feature newly postpartum moms as they celebrate the joys of becoming new parents, as well as the emotional and physical struggles of caring for a newborn baby. 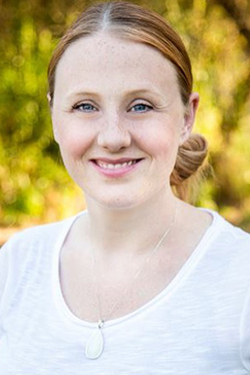 Kristen is the founder and owner of In Due Season Doula Services and The VBAC Coach. She is a DONA Certified Birth Doula trained by Penny Simkin at Bastyr University in San Diego, CA. Kristen is also trained with CAPPA as a Postpartum Doula, taught by Darla Burns at the Birth Education Center of San Diego. Kristen is Rebozo Certified through Gena Kirby and has trained with Spinning Babies founder, Gail Tully. She specializes in VBAC births and Family Centered Cesareans. She teaches a VBAC and Family Cesarean focused childbirth education course at the office of Dr. Damon Cobb in Poway, CA. She is also trained in the art of Placenta Encapsulation. Kristen’s goal is to provide quality and comprehensive support during pregnancy, birth and beyond. Her business also features a team of qualified doulas for whom Kristen is honored to provide referral services and partner with on births and postpartum work. She is the mother of three children and wife to an active duty Marine. Kristen is currently offering Baby ASL classes for parents wishing to expose their infants and toddlers to American Sign Language. She serves all of San Diego County and Riverside County.